What I am trying to do is convince you to purchase and (yes) to read a copy of Gertrude Stein's unclassifiable book called Tender Buttons (1914). Why I should even care is beyond me, and how I might accomplish this is anybody's guess. —in which I confess my belief that the world is far too sensible. Even though people choose to behave in irrational, self-destructive ways often and everywhere, it's usually because they're (what we'd call) weak or imprudent. And still others can't always distinguish the logical from the illogical—and, having selected the latter, only discover their predicament when it's already too late. Much more rarely do we (now, I'm using an inclusive pronoun: wink-wink) intentionally and enthusiastically opt for the illogical as an end unto itself. We are (I want to say) frightened of nonsense. Our minds—elaborate machines without off switches—are always trying to organize data and stimuli. We are born mappers. We get the lay of the land first, orient ourselves, and (consciously or not) locate distinctions and boundaries so that we can navigate our environments without too much confusion or distress. But then—confusion and distress can be useful things. They force us to adapt, and they challenge the faculties of our minds. Furthermore, this logical confusion—this nonsense—contributes to the spirit of 'play' and the sense of euphoric abandonment that derives from it. 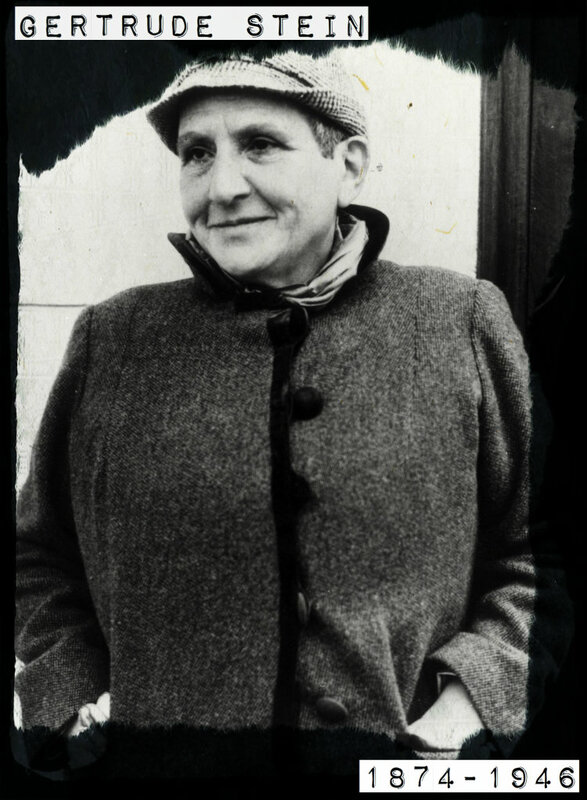 For Gertrude Stein, 'play' was serious business. 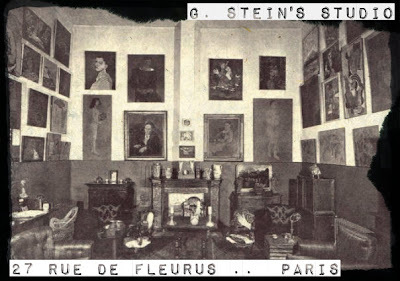 There was nothing incidental or slight about her most avant-garde works. Tender Buttons, for example—which we might best reckon with if we considered it a compilation of anti-sensical prose-poems—unabashedly rejects meaning in favor of sound, rhythm, and the allusive quality of words in strange or at least unconventional juxtapositions. But do you know what I find exhilarating? That there's no responsibility to meaning here. Gertrude Stein wrote a book—this book Tender Buttons—that celebrates its anti-sensicalness, so we are under no particular pressure to decipher it. This isn't a dense philosophical text whose incomprehensibility is an affront to us: Why can't we understand? What is deficient about our intellectual abilities that we aren't able to decode the author's obfuscated meaning? No. There's none of that here. We're therefore comforted, if we let ourselves be. We can take whatever we want (or nothing at all) from the text, and it's right and good and enough. We can just feel the collisions of these words, hear their musical rhythms, and discover the unpredictable impressions they yield. In other words, reading Tender Buttons is something like a mental freefall, I think. There's a courage, and there's an exhilaration, too. But if you're looking for the security of solid ground, you'll be disappointed or angry. Or worse. 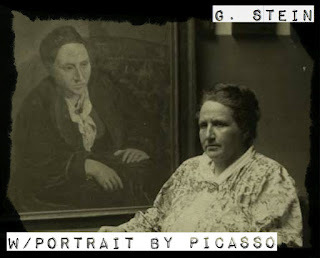 Look, Gertrude Stein isn't always an easy person to love. 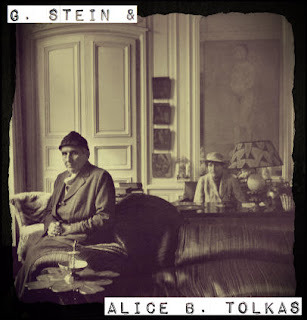 She often comes under attack for her politics, her alleged collaborationism, her egomania, her carefully crafted literary image, and her supposed sell-out (i.e., The Autobiography of Alice B. Toklas). But one thing she should never be attacked for is her adventures in the world of the anti-sensical. You and I don't have to (and, moreover, can't) live in that world, but isn't it liberating to stop off there for awhile? To play? To be overwhelmed by the unfamiliarity of our own language and to feel the currents of meaning in motion? Hey—let me appeal to your practical, sensible side before you go. This book is only fifty pages long and is available from Dover (non-Thrift Edition) for a cover price of $4.95. You lose more money than that under your car seat! "A little monkey goes like a donkey that means to say that means to say that more sighs last goes. Leave with it. A little monkey goes like a donkey." "Elephant beaten with candy and little pops and chews all bolts and reckless reckless rats, this is this." i have not read anything by gertrude stein, but my boss put out a picture book about her which i've always found intriguing. Ooooh. What book is it? I might like that. It is called Gertrude Is Gertrude Is Gertrude and I can send it to you if you message me your address.